WhiskyIntelligence.com » Blog Archive » A Visit to The Cowichan Valley Whiskey Festival – Whisky News - whisky industry press releases, newsletters, events, tasting notes, bottlings and comments. The Cowichan Valley Whiskey Festival ( http://www.cvwhiskeyfest.ca/ ) was held on the evening of 12th April at the Ocean Front Suites at Cowichan Bay. Tickets were purchased on-line via their website and a simple receipt was generated; no actual tickets. Hmmm. Perhaps they would follow in the mail? No such luck at the intervening time revealed. Later in the month when we drove up to attend the festival we stopped in at the sponsoring liquor store as to inquire if we were to collected our tickets from the store, at the festival or was the receipt enough?? Nobody seemed to have a clue but we were greatly reassured by the casual “you should be OK with the receipt”. How encouraging! While checking into the hotel, located in the very picturesque Cowichan Bay, we overheard another festival goer as he collected his tickets which he had bought a package of ticket & hotel room, the later at a discounted rate, from the hotel directly. There was no mention of this option on the CV Whiskey Festival website and the link from the festival website to the hotel website didn’t lead to any special offers for festival attendees. This was mildly irritating. Soon we were checked into the hotel by the very helpful front desk staff and were ready for the festival; quite possibly our trusty receipt would do the trick and gain us access….the front desk staff didn’t know and there wasn’t anybody from the festival available to ask. The festival had three masterclasses featuring BenRiach, Compass Box and the Macallan 1824 series. The venue for the Masterclasses was quite small however it was perfectly suitable for the three events although it was hard to spot anybody from the festival. A few of the attendees pitched in to help set up one masterclass thus ensuring that it started on time; possibly they were rewarded with a dram or two later by the grateful presenter. It always adds a level of unwelcome complexity for a presenter if they have to set up and pour their own masterclass. Unfortunately the glass ware for the masterclass was completely unsuitable and we were quite surprised to see giant wine glasses in use; it’s basic festival planning, make sure you have suitable glass ware! The now well-worn receipt didn’t merit a glance and nobody seemed to know how many tickets had been sold to the masterclass, how is this even possible?? After the masterclass it was soon time to really give the receipt a test and it worked! The check-in was via the issue of a wrist band and we soon discovered where all the volunteers were hiding – in the check in area! 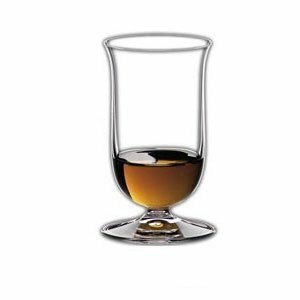 As well as the wrist band we were given a Riedel ‘vinum single malt whisky glass’. A Riedel glass?? C’mon, they are hopeless for sampling whisky and there’s no point in trying to use them for nosing. They are very good for putting small bunches of cut flowers in however. A quick tour of the room revealed a fantastic location with the entire front of the room offering a stunning view of the Cowichan Bay with floor to ceiling windows The tables were stocked with a good selection of basic whiskies and …….beer. That explains the Riedel glasses…. Now at Whisky Intelligence we’re not great supporters of the mixing of spirits and feel that it diminishes all the products on offer but no matter since we suspect that we’re in the minority in this regard. A further survey of the didn’t reveal any tables with bottles of water, again basic festival fare, however after some searching a large carafe of cold water was located in a corner table and it seemed to be kept full throughout the evening. Since there was so little on offer that had not been sampled before, a retreat was made to the hotel room to watch a movie and have a good pour of a Scotch Malt Whisky Society 1985 71.35 Glenburgie, and not from the Riedel vinum! It was reported the next morning that at the end of the festival all the Riedel glasses were collected by the volunteers. All except one! Tomatin 12 & 18 Year Old, Glenkinchie 12yr, Oban 14yr, Dalwhinnie 15yr, Cragganmore 12yr, Talisker 10, Lagavulin 16yr, George Dickel 12yr Bourbon, George Dickel Rye, Bulleit Rye, Tullamore Dew, Wild Turkey, Aberfeldy 12 Year Old, Aberfeldy 21 Year Old, Dewars Highlander Honey, Glenfarclas 15 Year Old, Glenfarclas 17 Year Old, Glenfarclas 105 Cask Strength, Brown Foreman Jack Daniel’s, Gentlemen Jack, Jack Daniel’s Single Barrel, Collingwood, Woodford Reserve, Jack Daniel’s Honey, The Glenlivet 12, The Glenlivet 15, The Glenlivet 16, Nadurra, The Glenlivet 18, Aberlour Double Cask Matured 12 yr, The Macallan 1824 Gold, The Macallan 1824 Amber, The Macallan 1824 Sienna, The Macallan 1824 Ruby, Highland Park 10, Highland Park 12, Highland Park 18, Laphroaig 10 & Quartercask, Evan Williams Black Label Bourbon, Evan Williams Cinnamon, Evan Williams Honey, Elijah Craig 12 yr. old Bourbon, Glenmorangie Original, Glenmorangie Quinta Ruban, Glenmorangie Nectar d’Or, Ardbeg 10 yr old, Ardbeg Uigeadail, Ardbeg Corryvreckan, Buffalo Trace Bourbon, Eagle Rare Bourbon, Tullibardine Sovereign Single Malt Scotch Whisky, Writer Tears Irish Pot Still Whiskey and Amrut Fusion Single Malt.